Are you a business owner or you run some organization? Are your customers a vital part of your business? Are you looking forward to give best possible experiences to your customers and want them to engage with you or your organization? If you answered to all the above questions in affirmation, all you need is a set of right tools that will give best experience to your customers. And none other than Sugar CRM will help you the best. It is not only a feature rich platform to build a site on but also a most user-friendly Customer Relation Management Software. We, at Adaptative, love our customers and do our very best to provide them with best possible experiences and understand how very important your customers are for your business and overall growth. Thus, we recommend our SugarCRM services which are especially designed to help you have better relation with your customers. It is an amazing tool that requires low investments but offers high end results and we know how essential it is to save on your resources when all the economies of the world feel a bit of recession hit. This is why our team of most skillful developers and designers look forward to help you set one of the finest CRM tools that will use quite a less of your resources without compromising with the quality and standards. 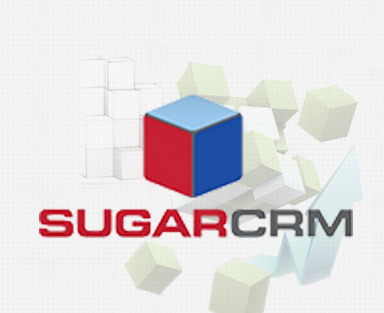 Sugar CRM is a popular open source Customer Relation Management solution that works just the best for the companies of every shape and size. The best part about it is that it can easily be integrated with other software and customization doesn't require much effort. It helps organizations to create a flexible system that can easily be maintained. With this wonderful open source tool you get best of CRM features like marketing campaigns, project management, sales force automation, support cases, leads, accounts, opportunities and so much more. Our solutions will help you grow your sales better, create remarkable client business applications, execute the finest marketing programs and of course have better ways to retain your clients. Our expert team not only specializes in Sugar CRM development but also offers world class consultation, systems integration as well as special managing services. Whether you're looking for simpler modifications or an entire setup to be build or it is as big a project like enterprise engagement, our team has done it all and with its vast knowledge and experience it is ever ready to help you. We, at Adaptative, look forward to help you with latest and greatest techniques like creating shared workspaces which works incredibly well in working collaboratively with your partners, clients or employees. There are still some other niftier solutions like document editing, contract signing or even the faxing of your agreements to others in your network and so on.